I applaud Mike Kaulbars for not censoring this GreenFyre discussion which I see as rather embarrassing to the alarmists who seek to enlist the force of the Global State’s guns and prisons to suppress the welfare of the living for fear of an asserted future catastrophic effect on global temperature from the couple of spectral lines of the CO2 molecule which is the anabolic half of the respiratory cycle of life . The Libertarian Party Statement of Principles “challenge[s] the cult of the omnipotent state” . We see here the deification of the State and its agencies . The utterances of NASA are unequivocal and unbiased despite their guru Hansen comparing the coal trains which supply the electricity which empowers this very conversation to nazi death trains , and the condemnation of this fraud by their last astronaut to have walked on the Moon . Any group which questions the State funded view and believes in the superior intelligence , imperfect tho it is , of a citizenry optimizing the welfare of their families in a free market , undistorted by forced ( ie , State ) cash flows is denigrated and its arguments and evidence dismissed by the most perversely ill logic . One of Harry Browne’s favorite classical liberal observations was that War is the lifeblood of the State . For the State to justify its use of Force , it must induce fear of an enemy . When it runs out of external enemies , it criminalizes its own citizens . In this iteration , the Global State is trying to criminalize our making a bit more carbon available to the biosphere from previous lush epochs to power our connected lives . As sort of a Pavlovian experiment , I mentioned the pompous but talented Christopher Monkton wondering if it would trigger a cascade of abuse against all connected with this feared opponent without regard the fact that I was abstracting an incident at a Heartland Conference where he gave me exactly the same crap about not even glancing at anything other peer reviewed publications which the ecoStatists on the blog were dissing me with . Yep . Sorry blogs like this are the max I have time for . There also was a bunch of twatter , siccing the Dunning-Kruger effect on those of us deigning to question their core science . It’s essentially the claim : You’re dumber than you think you are but I am as bright as I think I am . Well , back at you , baby . It’s been established that none of the alarmists in the thread know that albedo ( reflectivity ) never occurs in the calculation of the temperature of a radiantly heated gray ( flat spectrum ) ball . That only comes in when you have a colored spectrum . Here’s some basic data : thermometer records ( centigrade ) from some of the first cities to keep them going back to 1820 and beyond . Looks pretty linear to me . The concentration of atmospheric CO2 is said to have increased from about 28 molecules per 100,000 to 39 over that period , an increase of about 39% . Our temperature over that period increased from about 287.0 kelvin to 287.7 , or about 0.24% . Assuming that total increase in our temperature is due to CO2 , what is the simple extrapolated increase in our temperature for another 39% increase in CO2 concentration ? Is that frightening ? The more I listened to the congressional appearances of Paulson & Bernanki the more convinced I become that this is Bush’s last attempt to scare us into another jump to the National Socialist , military fascist state . The market is frozen by the creation of foolish financial derivatives too complex to be marked to market every night as SarbanesOxley regulations demand . There is no way a subset of market minds can solve the mess caused by such regulation quicker that the entire set can . Left to the market , this spike would work itself out like the oil spike has . I wish I had time to flesh this out but don’t right now . Everyone who has not yet followed up on DownsizeDC’s email message to tell their WDC “reps” that they will vote and work against them if they vote for this historic fraud . I’m trying to get started on my Logic of Liberty column for the next print SerfCity , due tomorrow , but have gotten somewhat diverted by Bizarre Foods with Andrew Zimmern on the Travel channel . He’s visiting St. Petersburg , Russia . Attending one of the very the first international computer language conferences during the fall of the USSR in 1992 held at a nuclear technology training center near the Pioneerskya metro station on the north side of the Neva viscerally affected my view of the criminality of socialism . Andrei Kondrashev , the conference contact in the KGB ( who wrote the first APL for a Russian desktop computer ) commented that it would not have been possible to pull off except for the internet having reached Moscow that year . The point is , I have never seen anywhere so devastatingly poor . Soviet Marxism had brought the the fabulous capital of Peter the Great to decrepit desolation . Someday I may detail the chapter . It showed there is virtually no level of suffering at which arrogant statist do-gooders , like most dangerously our probable next Secretary of the Interior , Al Gore , will admit error . What a transformation freedom has wrought in 16 years ! Now there are food markets which make Chelsea Market look boring . There are elegant cafeterias and restaurants with plentiful and interesting food . There are ADVERTISING SIGNS so you can find a restaurant or store or whatever you are looking for . It is clearly a destination commensurable with any other western city . The transformation , tho perhaps lower key than China’s , is awesome in just 1.6 decades . The signature campaign of the excellent and effective grassroots libertarian lobbying site Downsize DC is their Read the Bills Act. While still far from introduction much less passage, it is having significant influence on congressional comment and, now, on conduct. I happened to click the C-SPAN Senate channel a few hours ago partly because I knew they were considering the horrendous Kyoto are US CO2 cap and trade bill. (Go to Downsize DC to e-lobby your reps and sens against it.) The Repubs have cleverly taken the notion of the RTBA and forced the reading of Barbara Boxer’s substitute amendment by the clerk. Actually, it’s taking 2 of them in shifts — they’ve just passed the 6 hour mark. What a great innovation. Now you can filibuster a bill just by insisting it be read! The arrogance of this bill from this representative of that paragon of practical energy policy California, is mind boggling. Anybody who is not scared libertarian by this performance needs to have their brains rinsed. The chutzpah of this bill is particularly astounding given the continually mounting proof that the notion that CO2 can change the mean temperature of the planet is piled cow pucks . 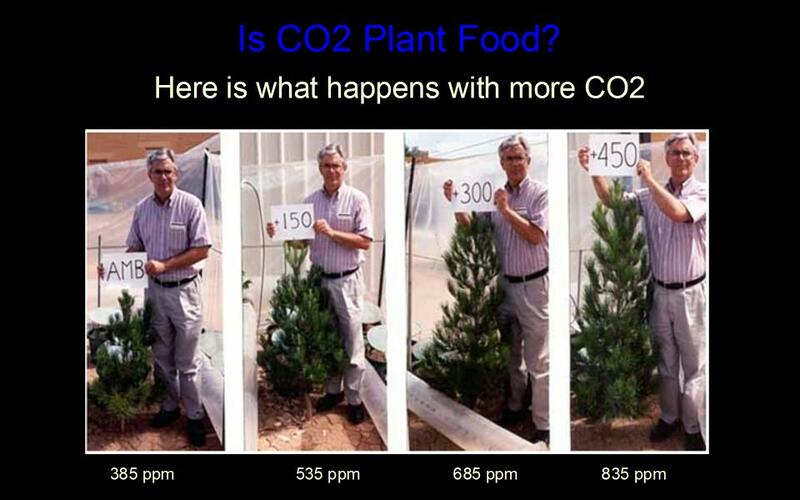 On the other hand, Plants love CO2. I happened to catch part of a presentation by the socialist from North Dakota, Byron Dorgan, confirming this. He was describing a proposal for a coal power plant exhausting its CO2 into algae growing greenhouse ponds producing biomass which can be efficiently converted to biodiesel. Of course he can’t leave such a practical notion to the profit motives of capitalism, it needs tax subsidies. This notion of using the waste CO2 and heat from powerplants to grow algae is not new. A good illustration of the State’s insistence to either subsidize something or prohibit it is the rejection last year by Kansas of a coal plant which would have included just such an experimental algae process. Well, we’re about to hit 7 hours. Andrew Napolitano as Ron Paul running mate ? Great interview with Judge Andrew Napolitano . That you post articles with no feedback commentary mechanism . Talk about obvious intentional bias to the point of censorship !